I have to say sorry about the content of my blogs it took a good friend of nearly 50 years to point out that sometimes I make a few errors in my blogs. In my defence I normally blog between 5 and 6 in the morning before we go out fishing or I start on the many jobs I have to do running the boat and house here in the US. At school English was not my strong point and still remember the report that went with my failed English O level ” Rodney’s problem is a vast vocabulary of which he cannot spell or put the words in order” After a few attempts I just got an O level, sorry about the word content of my blogs. The photos I am certainly no Henry Gilbey and if you take into account I have just helped to get the fish in and do not have a good camera its the best I can do. I am trying a new camera out after Christmas so fingers crossed. 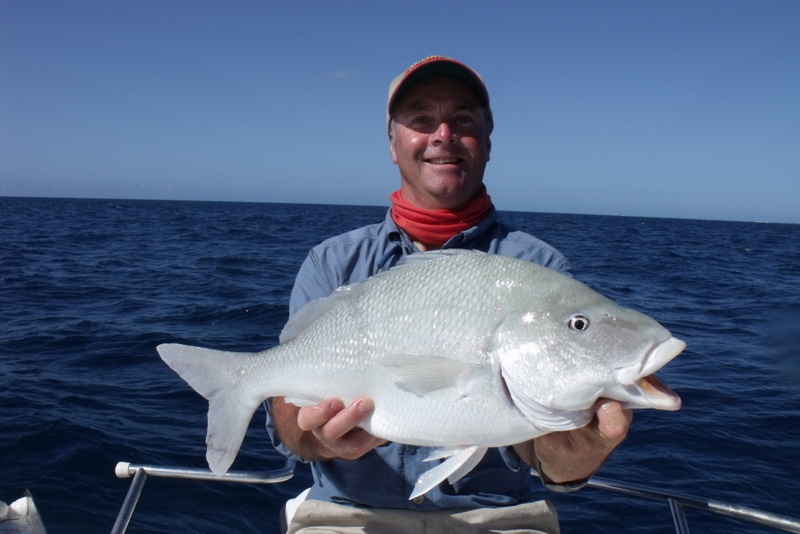 What I do is put my guests on fish, lots of fish and very big fish and I take massive pride in doing it well. With over 80% repeat bookings and some guests now on their 10th trip I must be doing something right. It was great pride I took the compliment from Cian this spring that what I said we would catch at our breakfast meeting we went out and caught. Take the last day with Ian and his party they had ask for a trip to catch Goliath grouper so of we went. Far from ideal conditions the wind from the north and tide running to the east putting the pick down took time but I got it right in the end. 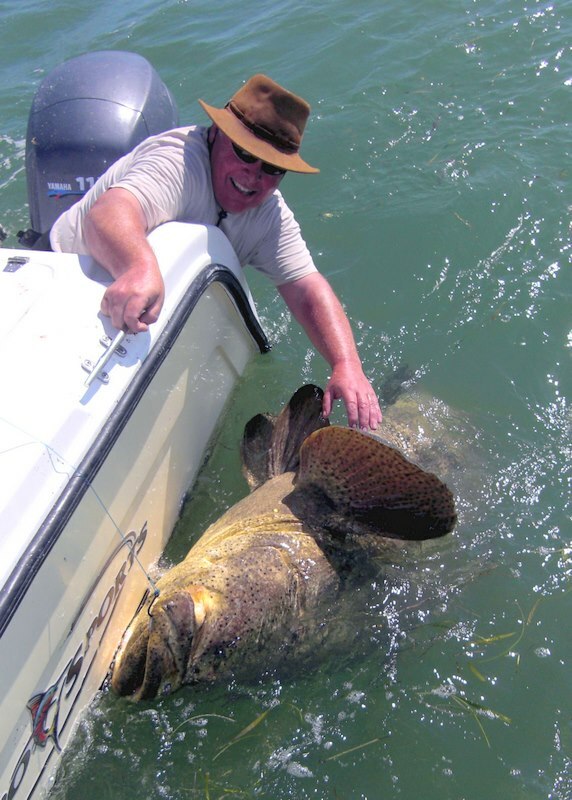 Five Goliath over 100lbs and the biggest for Kevin I said at the time over 300lb. After showing the photo to local guides they all said over 400lbs just look at the size of the pectoral fin and its head is bigger than Kevin. So job done again you will all just have to put up with the blog and leave me to find the fish. At the tender age of 58 and one big hernia opp last year why do I say silly things like would you like it in the boat for a cool pic? The other day Kev had a nice tiger near 200lb and some mad skip said the those stupid words so game on. We are very lucky at Fish the Dream to have a cat with a very low and open transom so it is possible to slide fish in not putting any pressure on the internal organs with a dead lift. We had to jam the head into the corner of the boat as it is not advisable to have a very pissed tigers teeth with free access to fresh meat. 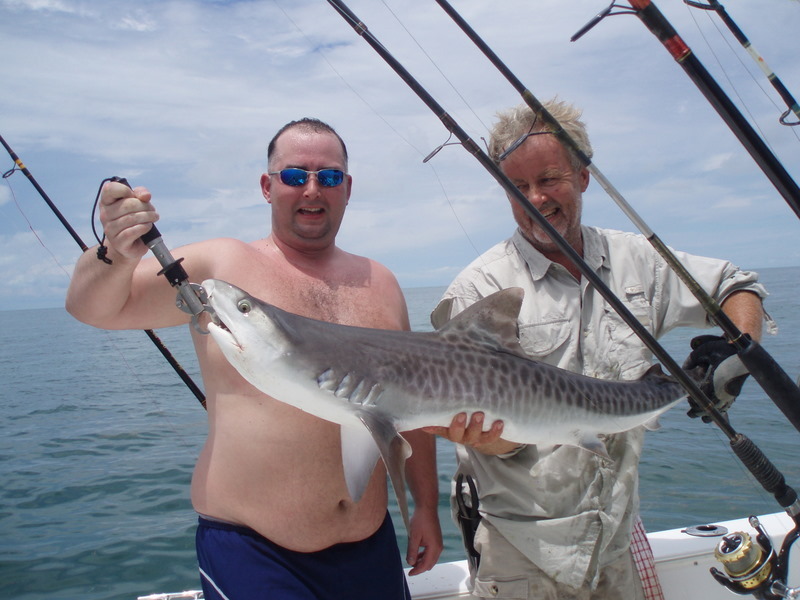 Pics done the less than happy tiger was slid back into the sea this one however did not won’t to go back and on leaving the boat decided to bite the dive ladder. However the lure of the sea was to much and with a few flicks of the tale it was back to terrorizing the other creatures of the Florida Keys. I was left with a boat load of anglers on their fishing holiday thinking no doubt is he mad or what. The guys at the Florida Wildlife have got it so right again taking fish off and putting fish back on. First four species of shark have nowgained full protection in all Florida waters, tiger shark and three species of hammerhead. 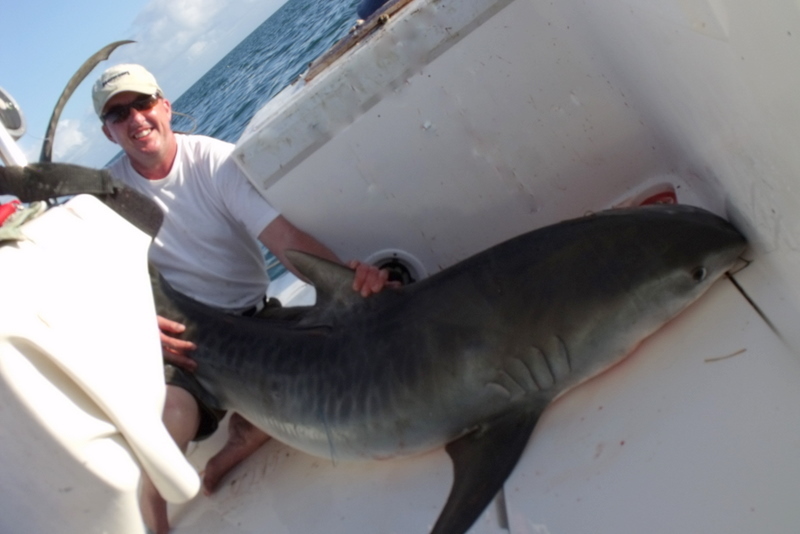 Why do some people kill these shark well not for food and not even in our waters for the fins. The answer the teeth, yes the teeth. These beauty creatures have been around for millions of years and have developed teeth to do the job. Apparently it is cool to wear a tooth round your neck, sorry I just don’t get it but no more can you get your tooth from a shark in Florida. I have always believed the tiger to be the most attractive of all the shark and a few years ago we were lucky enough to catch a small one. Being small it made the spots more noticeably, who looking at the photo cant say this is not one pretty shark. Next reg change fish back on, our spotted sea trout after next year will no longer have a closed season. It will still have size and bag limits but the boffins have said numbers are high enough to allow all year harvest. To me changes like this keep the faith in the anglers who always moan they just take and never give well they have. Also at the meeting at long last there was talk about making the Florida Keys a new separate area. We come under many different control zones which make it hard to police and confusion for anglers. Maybe if we become a new zone at last they can do something about my pet hate Goliath groper but that is a different story. 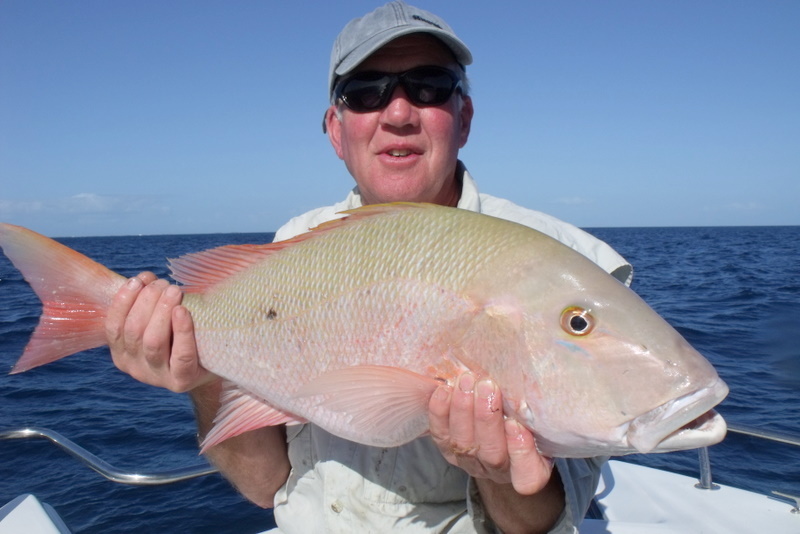 Its not all about giant fish and 2hr + fights some of my guys on fishing holidays here in the Florida Keys just like catching fish and none come higher in the smiles list than the yellowtail snapper. Not the biggest fish but pound for pound a true scrapper and on 10 or 8lb gear a true sportfish. It was with great joy on our new list of fish marks to be given a few that said good yellowtail so of we went. We tried one in 90ft and the trick with yellowtail is to get them up from the bottom to the chum trail then feed back small baits. Sometimes you will have to go down to just 6lb leader and 4 hooks their eyesight is amazing. The style we use is called flatlining just feed the line out in the tide, the take is amazing the line tightens and just flies of the reel, bail arm over and fish on. 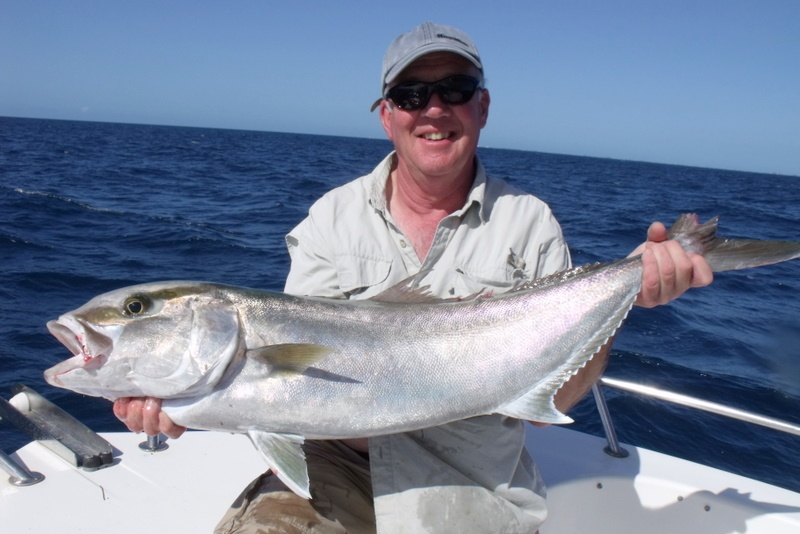 The yellowtail is very popular with locals and some days there will be boats out there with no rods heavier than 10lb. The reason, well the yellowtail in a lot of peoples minds is the top table fare not a lot gets better than fresh yellowtail. Quick blog on yesterdays checking out new marks. Both in the Atlantic first one in about 130 ft and was showing up as wreckage so drifting with jigs and live pinfish. 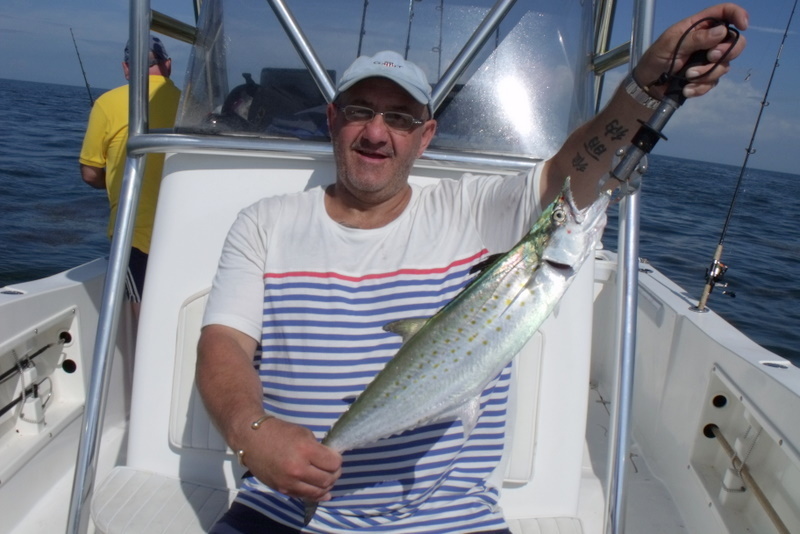 We had a few small amberjack then as I changed the drift we got it right a nice amberjack for Martin and a very good margate for Brian. Next spot was supposed to be a mutton snapper mark but as we could not find any thing on the sounder decided to put the pick down and fish it any way. Sometimes muttons just like the type of ground and stay there anyway. Trying different baits and methords we found cut bait was getting the most response and soon we found the target fish good hard fighting muttons and Brian had a boat PB red grouper just over 10lb. Both these marks hold good promise and to get good fish on the first trip is a very good omen. A few weeks ago my neighbour over the canal shouted hey Rodney my new boat has come with a bit of paper with 30 new marks would you like a copy? Silly question who doesn’t want new marks. So with all the new numbers in the GPS it has been an exploring week with Martin and Brian. 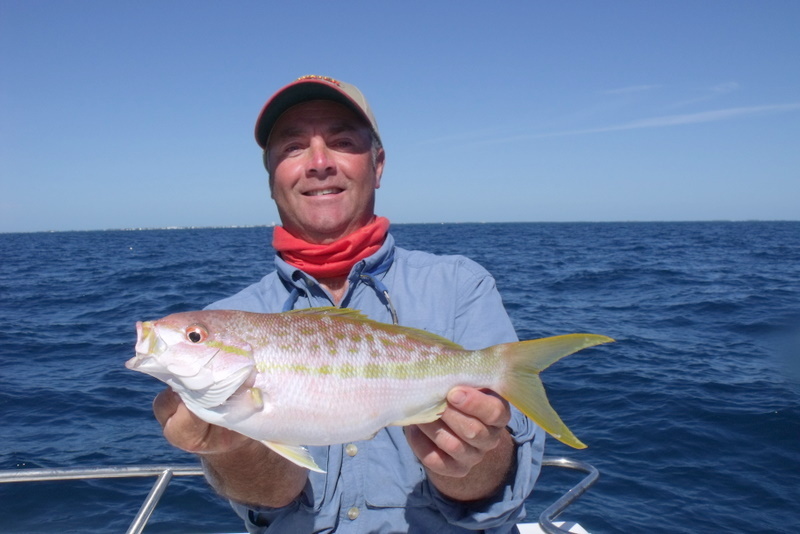 The strong northerly winds have kept us in the bay but most of the new marks are fishing very well. One has to realize that one trip to a mark is never going to let you know how it fishes as tides make a huge difference. The key to any new mark is what type of ground it is or is it a man made wreck, with the side scan sett to about 100ft we can now see very quickly whats there. With the big run of autumn mackerel have come the sharks. Top fun sharks are the blacktip and spinner, these fish do it all jump crazy high, spin in the air and run as if they have to take all the line of every reel. Why o why they never give up and some times they are harder work at the boat than away from it. 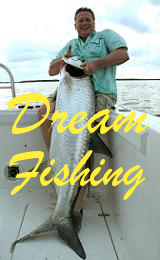 Some one once said they are the poor mans game fish, poor man I am not sure but game fish YES. 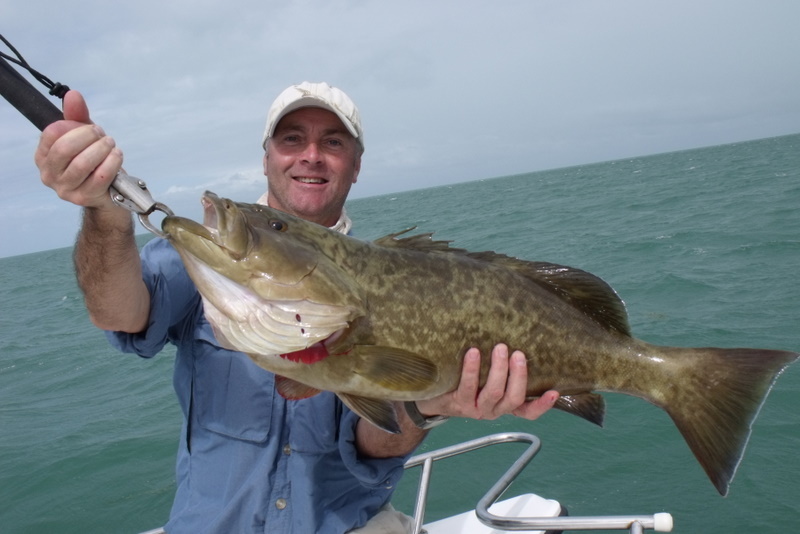 After doing fishing holidays for now over 7 years one tends to forget what a special place the Florida Keys are. On your first trip it does come as a bit of a shock I can remember mime now over 12 years ago. Now with over 80% of our customers being repeats it is so nice to get a few first timers that was the case last week. Tony and Gerry arrived with less than perfect weather but the nice thing about the Florida Keys we can still fish in less than perfect. 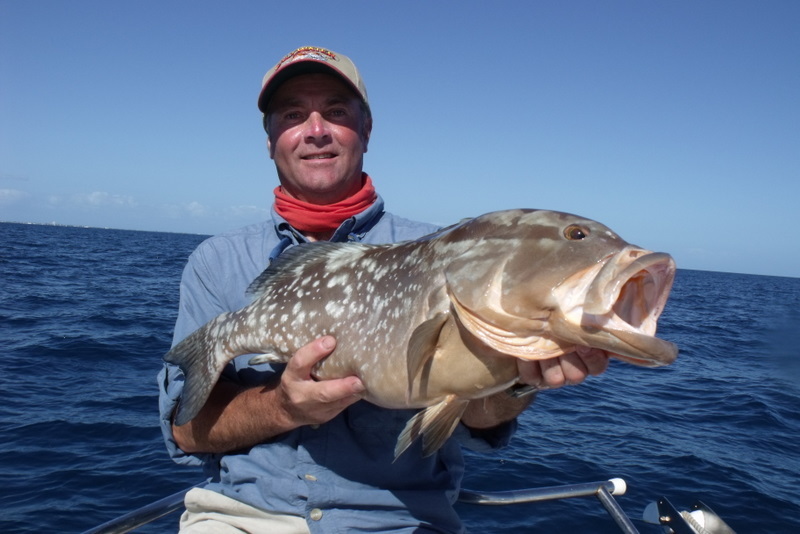 In just 5 days fishing we caught 31 species with shark to nearly 200lb grouper to 50lb and a host of new PBs. I like this time of year as our autumn fish appear as the water cools off and with sea temps dropping to the high 70’s the waves of mackerel start to show. To say these fish hit hard is an understatement I just kept hearing, did you see that and wow I don’t believe it. Fish after fish once you have attracted the macs to the boat it becomes insane. Along with the macs come the shark and on one day things started to slow a bit and this normally means the men in the gray coats have arrived. 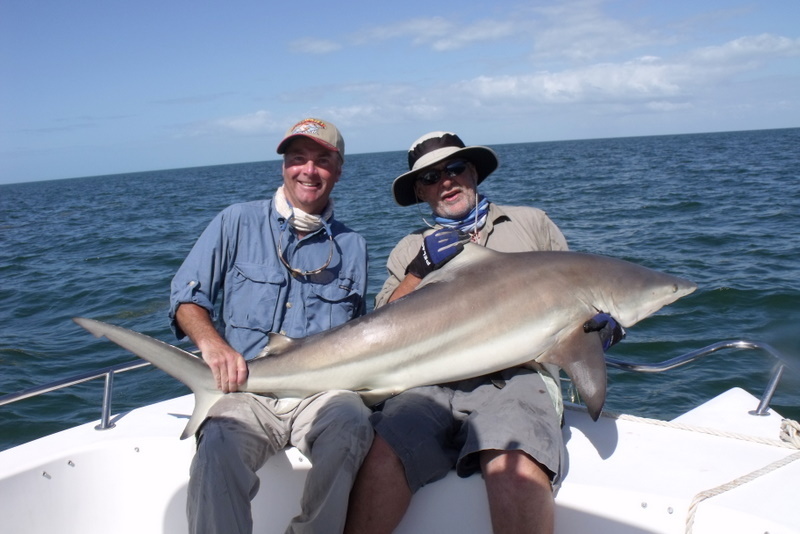 Well at this point you have two choices fish for shark or move on one day Tony had probably the biggest blacktip we have ever had well over 120lb in fact he had to help me bring it in. 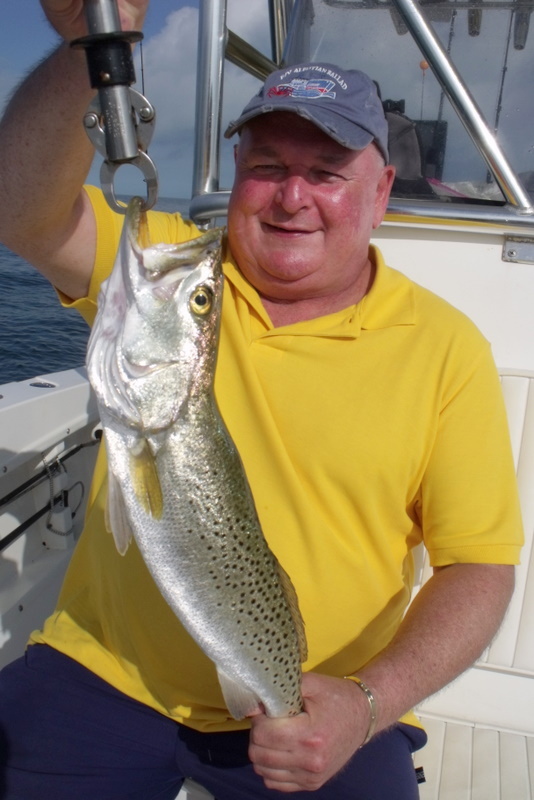 We still have a lot of summer fish around and one of my top summer fish is the spotted sea trout you can see how the founding farthers must have got this one wrong. It is a free feeding fish and if you scale down as fun as they get. Well Tony and Gerrys week just wetted their appetite for the Florida Keys and with hand shakes and smiles and talk of just have to save for the next trip it was sad goodbyes.